Magento is a highly featured open source web application devised for E-commerce Development such as webshop and shopping cart. It was first introduced on 31st March 2008. Magento was developed by Varien (a.k.a. MagentoInc) with the help from open source programming community. However, all the rights of distribution are reserved solely by the company. Zend Framework is the core of this web app. It uses the EAV (entity-attribute-value) database structure to store and retrieve data. Magento is also available for free in its community edition release for users and Magento Developer. There are three stable releases of this program available till date; professional edition, enterprise edition, and community edition. Wide popularity The e-commerce system provided by Magento Development is trusted and used by more than 150,000 online retail sites globally. 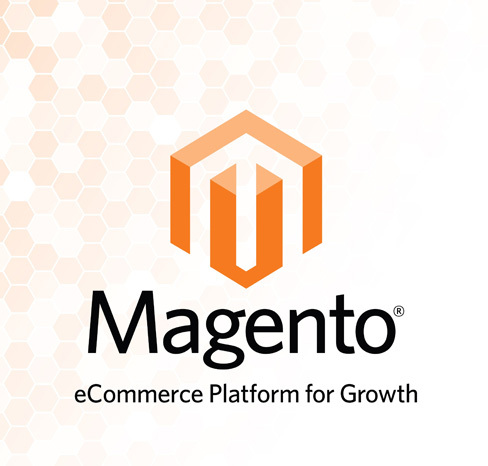 There are smaller and large multinational companies that have entrusted Magento for online e-commerce applications and management. The web application is so popular because it is written in PHP. It is one of the leading cross-platform web-app programming codes. The application is compatible with any system including mobile devices, any browser, and from any operating system. Magento provides you a tested, bug-free and smooth online retail workflow for 24 hours a day and 7 days a week. Unmatched features Magento offers you a full array of e-commerce features. There are many powerful online retail functionalities powered by Magento Development such as transaction option, product display, user account management, shopping filter, discount rules, product categorization etc. Magento has a powerful MVC (model-view-controller) model that is quite better than conventional web platform models. There are many features in this newly developed MVC model that sets it apart from others. It uses a layout file system to control the view. The layout is the easy function that can insert blocks to any view. It also has the capability of a rewriting system. The reasons to go for Magento It is one of the best and well-distributed open source E-commerce Development platforms. With the help of a Magento Developer, you can create a bug-free web store easily and in no time. It is a great tool that can be used as SEO marketing and online promotional offers. Magento can be used for mobile web application developments. You can develop hand phone-friendly mobile web store. It supports multiple currencies for the payment processing module. There is a wide range of choices available to you for a payment gateway. Almost all popular payment gateways support Magento.